For the first review of the marvelous month of May, we're going back to the year 2007. The PSP was in its early goings, and the platform had a lovely future in-store for it. The game is Jeanne D'Arc, and the review is right now so get ready! It seems that the handhelds this generation are the ones rich with RPGs of all kinds. There's the traditional JRPG, the tactical RPG, and the strategy RPG. 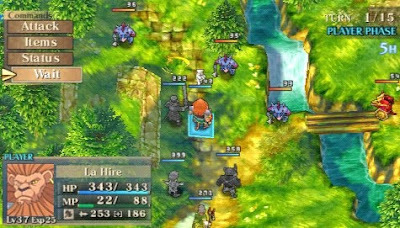 For every big-time RPG that gets released like Dragon Quest IX, Final Fantasy Tactics, and Mario & Luigi, there are multiple smaller-scale RPGs that come from out of nowhere to surprise and delight gamers who are looking. 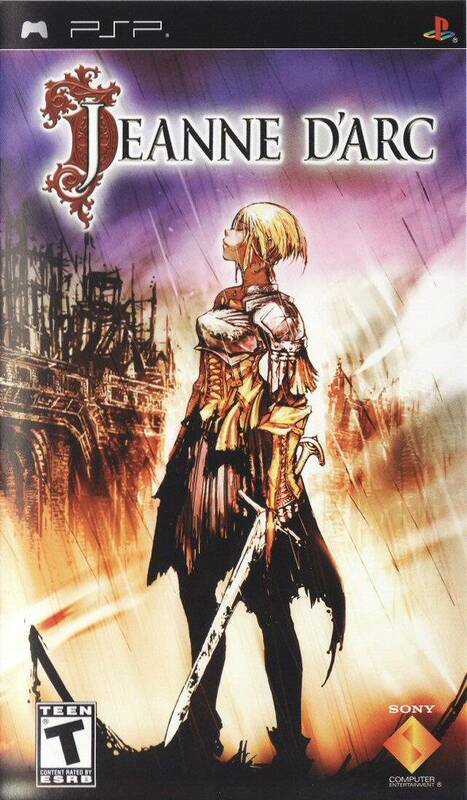 One such of these titles is 2007's Jeanne D'Arc, a Level 5 production published by Sony Japan. This RPG was sadly overlooked when it was originally released, but that isn't stopping me from checking it out in 2011. It's France in the 15th Century. France and England duke it out against one another in the Hundred Years' War. A farmgirl named Jeanne has her hometown burnt to the ground by a small army of England's demons. Obtaining a powerful armlet on her wrist and given orders from an oracle from the heavens, Jeanne heralds out to fight for her country and take down England, saving her homeland of France. The story plays out through text bubbles using the in-game engine. 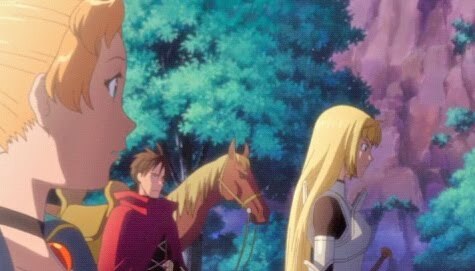 Special scenes are shown via animated anime clips. These are pretty rare in total, but feature the voice actors doing their best to present French accents. Jeanne D'Arc is a strategy RPG. There's about three dozen main story battles to partake in, each featuring set rules and win conditions. Some have you defeating a certain enemy while others might have you escaping a map at a certain point without letting any of your soldiers pass away. Each battle has a set number of turns you have to clear the battle in or else it's game over. Several encounters have it where if Jeanne falls in combat, it's game over. With no way to resurrect fallen characters, it's important to plan ahead and plan smart. ...While most scenes play out using the in-game engine. About a dozen or so characters will join up with Jeanne's cause during the duration of the game. Each has their strengths and weaknesses. There's the typical brute force soldier, the slow but strong lion who loves to speak in the third person, the archer, the map-combing thief, the lancer, the weak offense healer, and many more. Lancers can attack two squares ahead meaning that they can avoid getting countered by attacking a space too far from an enemy's grasp. Each character can be equipped with weapons, armor, accessories, and skills and spells. As you progress far enough in the game, you can bind skills and spells to create newer, more powerful abilities. What skill once boosted a character's HP by 20 now does so by 50. As characters gain levels, the amount of skill slots is increased by one every five or so levels earned. This means you can equip your troops with powerful abilities to make battles all the more easy. Battles in Jeanne D'Arc take place in a turn-based fashion. 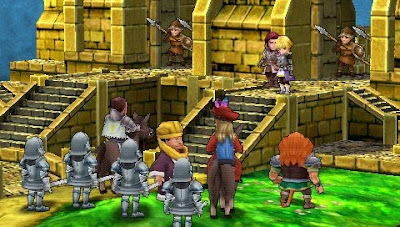 Unlike Final Fantasy Tactics, however, each side gets to move their units before the other gets a chance to move theirs. There's no individual units from both sides taking turns in combat. First, Jeanne's units move out, and then it's the enemy's phase. Close encounters make for strategic thinking as attacking from the front means that the enemy has a better chance of evading your attack. Bashing a foe from behind gives greater odds that your attack will connect. If you are right next to your opponent after putting on some offense, they will counter, giving off an attack of their own. Again, unlike Final Fantasy Tactics, counters give experience points. Experience points are used to gain levels to strengthen your party members. Even party members not in a given battle will earn experience points-- just not as much as those doing the dirty work. Even dragons are no match for La Hire. After a myriad of turns, Jeanne can access her armlet to turn into a spiritual being, capable of attacking multiple times in one turn as long as she continues to defeat enemies while doing so. Her attack and defense capabilities are exacerbated sevenfold meaning that Jeanne is one mother not to mess with. This power goes away after a couple of turns, and it can only be used once per battle. Thus, it's important not to waste it as it can be a true tide-changer. The tides will definitely need to be turned in battles in which enemy reinforcements arrive. In most battles you will be outnumbered, outmanned, and outmaneuvered meaning you'll have to keep your wits about you if you wish to survive or at least not be totally assimilated. There are some points in Jeanne D'Arc where you will have to participate in Free Battles (more on those later) to grind levels to be at a high enough strength to gain victory in these encounters. This can be viewed as a bad thing, but when the gameplay is as fun and enjoyable as it is in this game, grinding really is not so annoying. It also does not need to be performed as often as say in a game like Final Fantasy Tactics. Battles get hot and hectic in the world of Jeanne D'Arc. 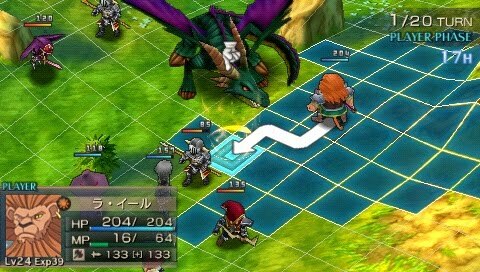 There's an abundance of maps in Jeanne D'Arc which causes the player to adapt new strategies if they want to survive. Players must take into account the height of foes. A baddie standing two feet above you cannot be hit with a simple sword strike. Instead magic or a piercing arrow must be used. Free battles are simply battles that have nothing to do with the story. These can be selected from the world map and are recommended for those needing to level their troops up. 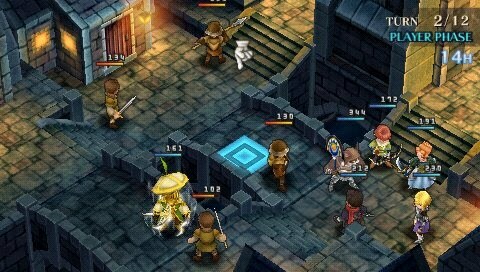 Meanwhile, shops can be explored to purchase new goods, armor, weapons, and skills. You can save from the world map or before battles. The game even encourages you to save on multiple files in case you get stuck during one of the encounters with no plan but to start the game over from the beginning. Use the analog nub to adjust the camera view. Visually, the cel-shaded characters and colorful worlds of Jeanne D'Arc are impressive to say the least. The game is rich and detailed and a delight to look at. Battles seldom show any sign of slowdown, and the framerate stands at a steady clip. Sound-wise, the music is sensational and will get you into each battle you encounter in the game. The voice acting is passable at worst and great at best. Who doesn't love a forced French accent for every main character in the game? I don't know if that last statement was sarcasm or not. Overall, Jeanne D'Arc is an exemplary SRPG that doesn't so much redefine the genre as it does takes what is great about SRPGs and reminds the player why they play them in the first place. The 36 chapter campaign will last at least 25 hours, the post game content lasts an additional amount, testing out new teams in battle will have players going at it for hours more, and binding new skills and spells will last a long time. When all is said and done, there is a lot of meat to this game. If you're searching for a Final Fantasy Tactics-like game without the convoluted story or mass grinding, then Jeanne D'Arc is an excellent substitution for you.